Our product range includes a wide range of Fuse Components such as HRC Fuse Parts and Brass HRC Fuse Parts.we pack these equipment using premium quality material. Our clients can avail from us a wide assortment of HRC Fuse Parts. Optimum quality material is used to manufacture the offered product-line. To ensure safe transit of the offered range at clients' destination, we pack these equipment using premium quality material. 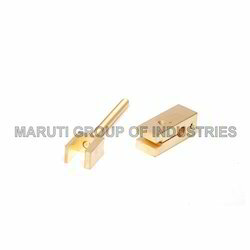 We hold expertise in manufacturing, supplying and exporting Brass HRC Fuse Parts. 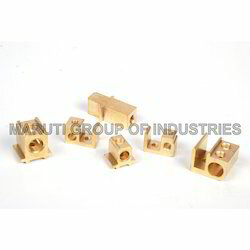 These fuse parts are made using high quality brass that is sourced from reliable vendors of the market. To cater to the variegated requirements of clients, we offer our range is various sizes and specifications at industry leading rates. Looking for Fuse Components ?